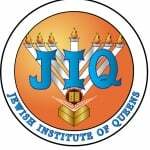 JIQ is dedicated to providing an exceptional Hebrew and Judaic studies curriculum combined with a strong general studies program within a single framework. At JIQ, teachers are committed to creating a supportive learning environment which nurtures the intellectual, social, emotional, and spiritual growth of each child. Students are part of a caring community that reaches out to others through hands-on mitzvah projects in the school, the greater community, Israel, and the world at large. Please read on for our detailed curriculum.